Аннотация к книге "Fornasetti: Designer of Dreams"
Piero Fornasetti established an enduring reputation as a designer with a style that was all his own – a style based on illusionism, architectural perspectives and a host of personal leitmotifs, such as the sun, playing cards and fishes, from which he spun seemingly endless variations. `He makes objects speak` said Gio Ponti, his friend and longtime collaborator. Designers and collectors today celebrate his use of allusion, unsettling images and striking juxtaposition to create uiue, whimsical objects. 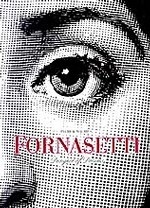 Fornasetti`s masterpieces shock, delight and inspire.